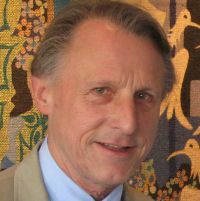 Founder and professor, Fondation pour les Etudes et la Recherche sur le Développement International (FERDI); Professor Emeritus, Université d’Auvergne; member, Centre d’Etudes et de Recherches sur le Développement International (CERDI); Director, Revue d’Economie du Développement; Member, European Development Network (EUDN); Fellow, Oxford Center for Studies on African Economies (CSAE); Member, United Nations Committee of Development Policy (CDP). Former: Chair of various expert groups on the identification criteria of the LDCs (Least Developed countries), United Nations Committee of Development Policy; Member of many advisory international committees and has worked for various international institutions and foreign governments. Has published many books and nearly two hundred papers, mainly on development, in a wide set of economic journals, including China Economic Review, Journal of African Economies, Journal of Development Studies, Journal of Development Economics, and World Development. Present research is mainly about aid allocation criteria and the effectiveness of special measures for the LDCs. Awarded the “Prix El Fasi de la recherche francophone” (1992).